Well, this chocolate was certainly an learning adventure. I hope you're ready for something you've never heard of before, because this is about as original as it gets. Here in Los Angeles there's a trendy little street called Abbot Kinney. 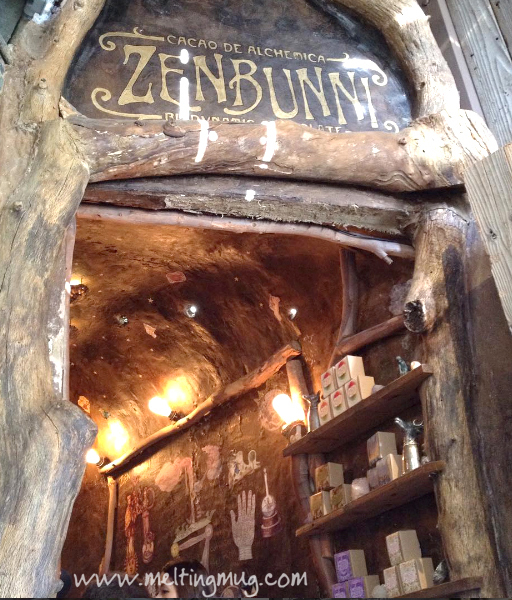 Lots of artsy places, stores carrying handcrafted products, and a coffee shop or two. And, happily, a little cubby hole of a chocolate shop called ZenBunni. 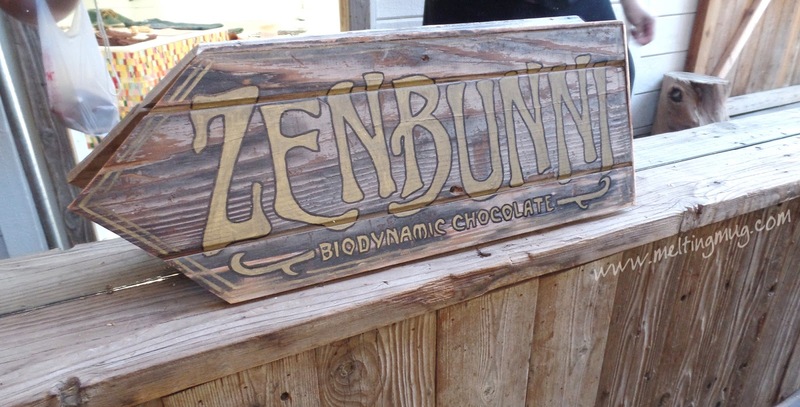 ZenBunni is a biodynamic chocolate company in Venice, CA, established in 2007. This was the first time I've ever come across the word biodynamic in relation to chocolate. 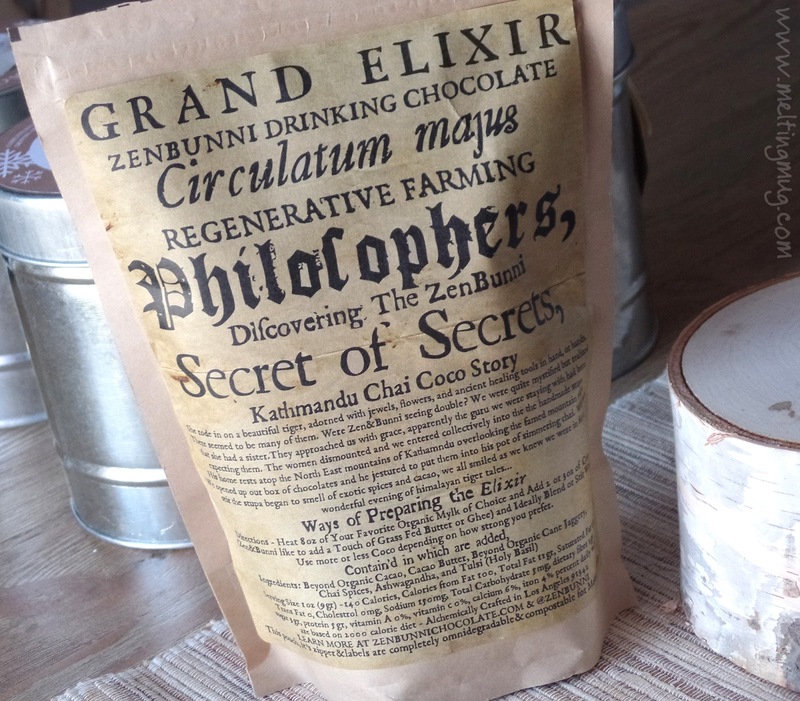 Reading their website about how they source all their ingredients, I learned that biodynamic farming involves spraying the soil with crystal-infused water and takes into account the "influences and the rhythms of the sun, moon, and planets". 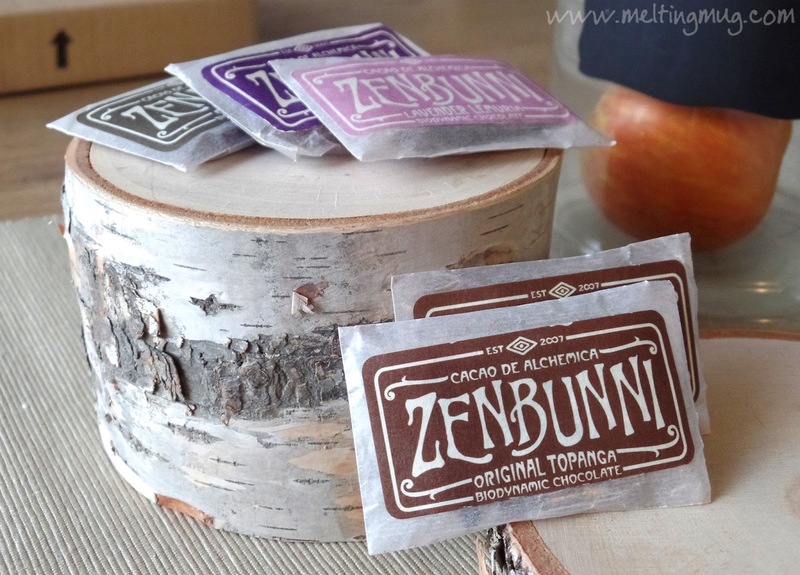 The name ZenBunni comes directly from the two founders, Bunni and Zen. 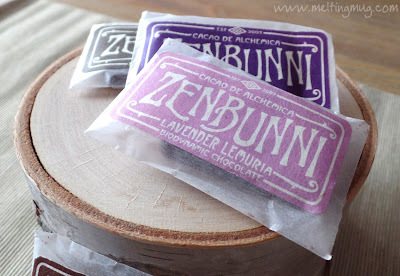 Everything they use is organic, raw, vegan, gluten free, and free of any refined sugars. Yep, I said raw. Meaning they do not roast their cocoa beans. And when they grind them, they do it slower, so the temperature doesn't get as high as it does with typical cacao processing. Heck, they even use omnidegradable packaging with vegetable ink! 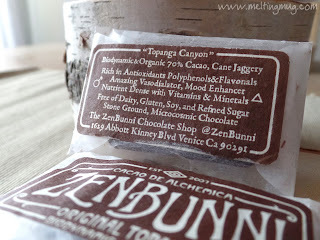 The packages also have little descriptions on them of symptoms or issues that each chocolate should help with. For example, Mocha Mucha says it helps with fat burning, brain activating, cardiovascular protection, and increasing energy. I'm not sure if a tiny chocolate bar can really help with these types of things, but hey, who am I to judge. I picked up a few bars during my first visit. 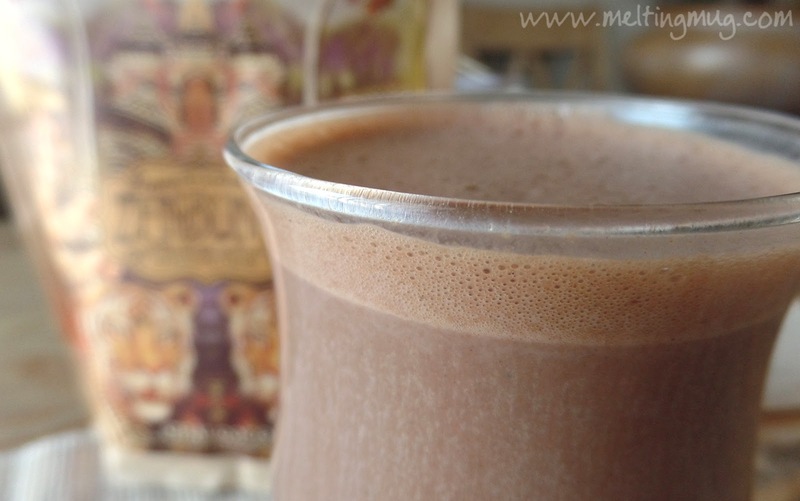 Mucha Mocha, which includes biodynamic and organic hand-ground espresso, maple crystals, 70% cacao, and cane jaggery (and seems to now be called Mystic Mocha). Kathmandu Chai has biodynamic and organic ashwaganda, tulsi, vanilla, zenbunni chai spices, 70% cacao, and cane jaggery. Lavender Lamuria, which contains biodynamic and organic lavender flowers, salt, lavender labyrinth oil, 70% cacao, and cane jaggery. So you can see there's a lot of unconventional ingredients in there. Not that this is a bad thing, of course. It's kind of neat and fun. 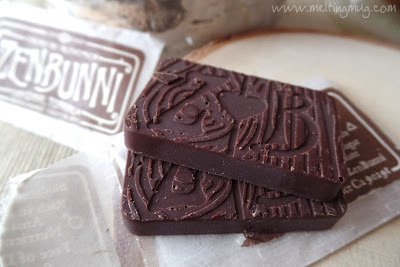 The flavors are definitely original and the chocolate itself has a nice, not too sweet flavor. While all the ones I picked up were 70% chocolate, they taste like they could be 75%. Hopefully you also noticed in those ingredient lists above, instead of sugar, they are sweetened with cane jaggery. Basically, it's the boiled and reduced juice from sugar cane. Same raw materials as regular sugar, just not refined as much. 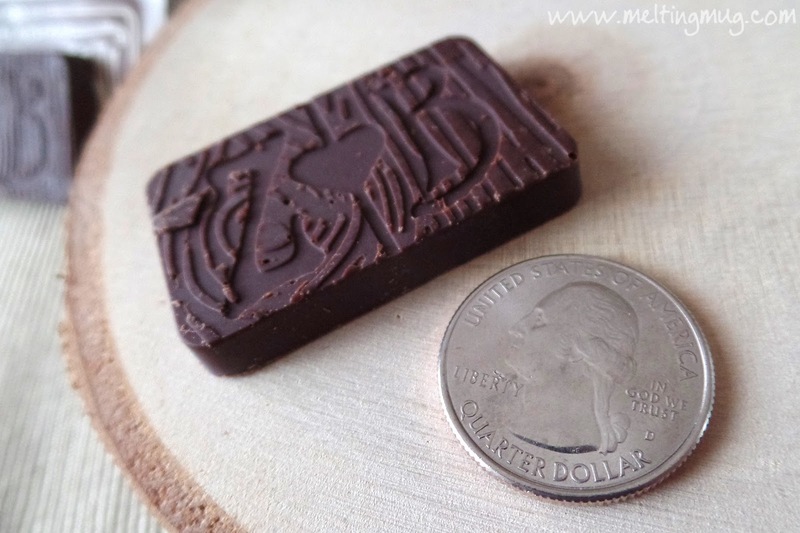 The bars are tiny, which makes them a bit expensive for their size, since they are $3 a bar. 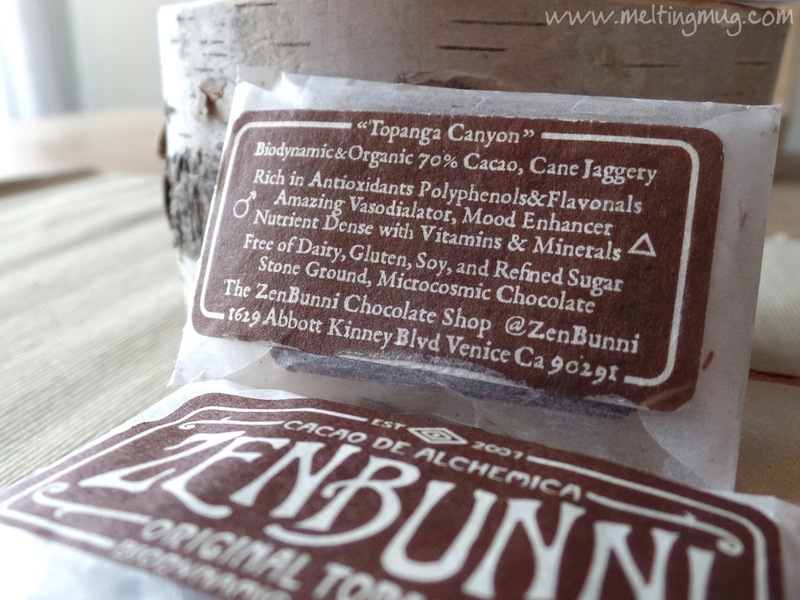 I'm using two bars of their Original Topanga to make a drinking chocolate. While making the drink, it created an excellent froth, even though I used 2% milk. 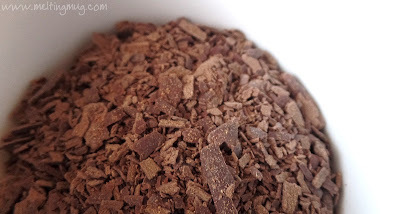 I tend to think a good froth is a result of using real chocolate, because the cocoa butter is still in there, which is the fat of the cacao bean. 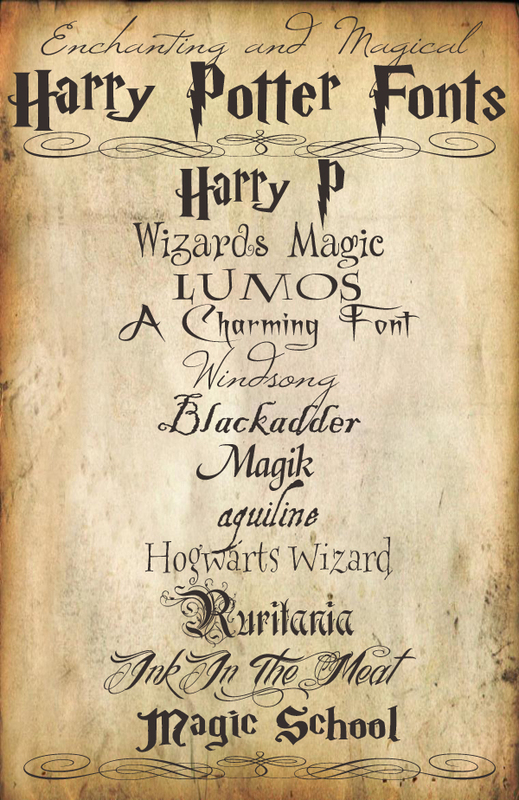 I have no idea if that's correct, it just seems to be what I've discovered. If I use cocoa powder as the main chocolate ingredient in a drink, it never froths. If I use whole chocolate, it usually will. The drink is delicious! It's not very sweet and has a slight nuttiness, with just the slightest notes of almond. 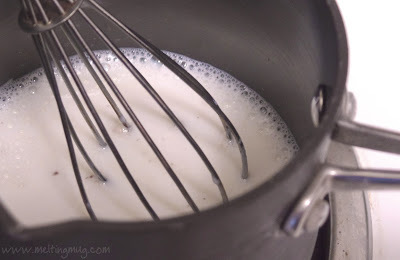 It also has a very creamy flavor, typical of drinks where I add some heavy cream to the milk. 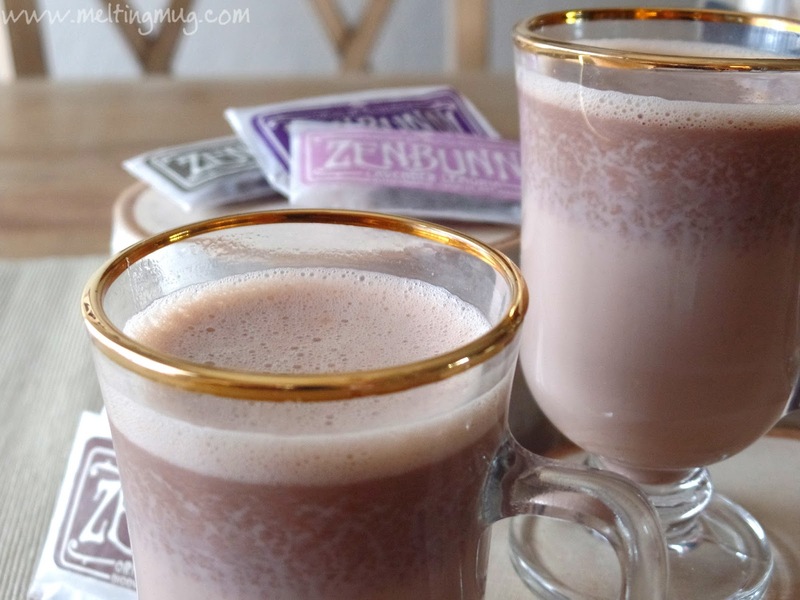 It's very pleasant to drink, and would make a wonderful midday or after dinner drinking chocolate. And at this point, I was actually going to publish this post. Then, before I could, at my wife's workplace Christmas dinner, her coworker Angela surprised us with gifts of ZenBunni's actual packaged drinking chocolate! When I had visited, they hadn't yet been making this product. We left with the Kathmandu Chai Coco. I've enjoyed chai-infused drinking chocolates here on the blog before, and once I opened this package, like the other ones, I was blown away! 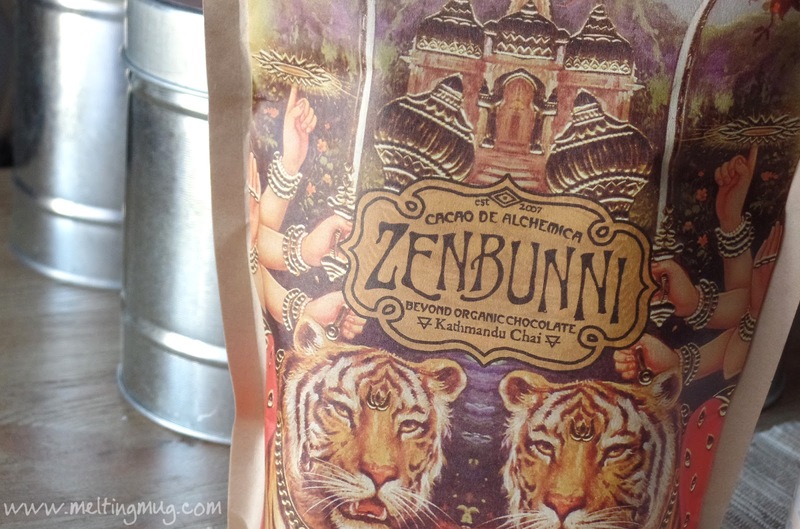 The aroma of that chocolate mixed with the complexity of the chai spices is just magical. The packaging is extraordinary! Amazing artwork on the front, while the back has a bit of a Harry Potter feel, complete with a magical tale of creating the drink in a stupa high in the mountains overlooking Kathmandu. In the instructions, they mention adding in a touch of grass fed butter or ghee. 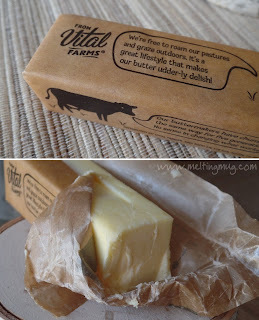 I made it as recommended, and even added that spoonful of butter made from the milk of grass fed cows. Wow, creamy and amazing! Putting the butter in, I was a bit skeptical that I would be able to notice it, but in the time since my first mug of the drink, I've made it without the butter, and I really think it made it much creamier. 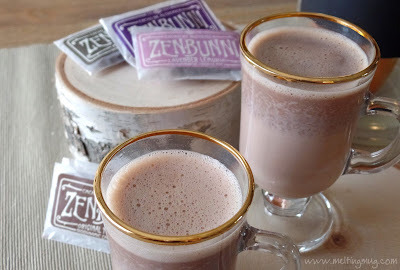 It's really a wonderful drink, very relaxing and aromatic, and definitely out of the range of ordinary hot chocolates. They also have a Shiva Rose Coco, and I can't wait to have a sip of that! This drinking chocolate is definitely recommended, and if you order, be sure and mention you heard about them here on Melting Mug. And if you try it, please come back and let me know what you thought of it.